Fiscal decentralization is often viewed as a niche issue that mostly concerns administrative and regional development policies. However, it has broader social and economic implications, which are often overlooked, especially in countries with a heavily centralized government structure such as Bulgaria. For decades Bulgarian municipalities have been struggling to carry out their democratic mandate – to observe, identify, and resolve issues of importance to the local community, hindered by an evident lack of own resources. A recent IMF study1 shows that fiscal decentralization can lead to improved fiscal discipline, resulting in lower deficits and indebtedness, as well as more efficient and transparent allocation of public funds. In line with the principles of local governance and subsidiarity, local governments have an informational advantage2 when it comes to determining local priorities, which can help them achieve higher effectiveness of public expenditures. Makreshanska and Petrevski (2016) argue3 that fiscal decentralization creates conditions that encourage the implementation of innovative, resource-saving approaches to the provision of local administrative services, which suppress corruption practices and support the fiscal position by leading to higher expenditure efficiency and higher economic growth. In theory, even factors such as the geographic proximity of those who pay the money and those who spend it influence the way in which the expenditure process is facilitated. In contrast, high dependence on common resources (such as transfers from the central government) can lead to low stimuli for combating tax avoidance at the local level and a lack of clear political responsibility, which spurs deficit spending. When both local governments and their constituencies are aware that they are spending someone else’s money, political and fiscal accountability issues are easier to overlook. 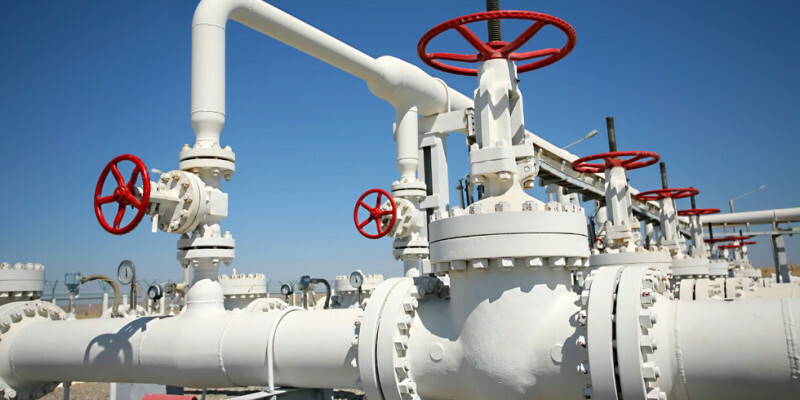 Most arguments against fiscal decentralization are based on the principle of achieving economies of scale, which are indeed easier to accomplish at the national level. In addition, some models of fiscal decentralization are rightly criticized for resulting in unnecessary multiplication of administrative bodies and procedures, or for creating more opportunities for lobbyist and rent-seeking practices at the local level. While Bulgarian governments have a clear long-term commitment to pursue fiscal decentralization (as stated in the 2004-2015 and the 2016-2025 Decentralization Strategy4), the last meaningful changes in this regard were undertaken more than a decade ago. In 2007, Bulgarian municipalities were given the right to set (within pre-defined limits) and collect a wide array of taxes, mostly related to movable and immovable property. The period that followed has shown clearly that this step – while important at the time – has failed to lead to significant changes in the structure of municipal budgets. The additional tax powers that local governments received in 2007 have failed to produce the desired impact as the revenue of local governments (as % of GDP) has increased modestly – from 6.3% in 2007 to 7.3% in 2017. This share is more than two times lower than both the EU average (15.7%) and the euro area average (15.3%)5. In fact, there are only 8 countries in which this share is lower than the one in Bulgaria. 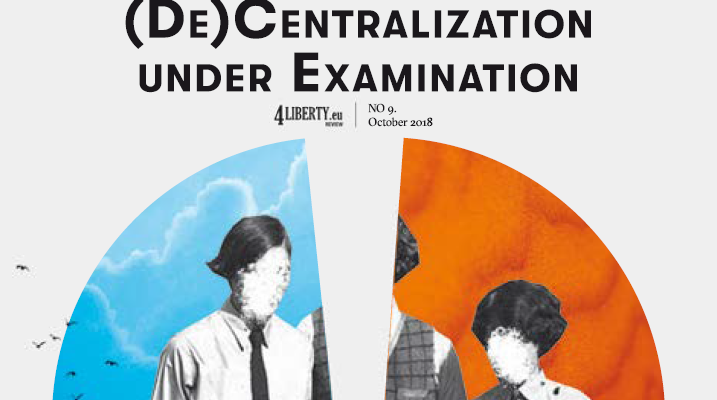 Among those are heavily centralized countries such as Greece, as well as countries that are significantly smaller both in terms of their population, as well as their territory (Luxembourg, Cyprus, and Malta). 1Sow, M. and I.Razafimahefa (2017) Fiscal Decentralization and Fiscal Policy Performance. IMF Working Paper WP/17/64. 2See Oplotnik, Ž. And M. Finžgar (2013) “EU Member States and Fiscal Decentralization – Empirical Comparison”, [in:] Innovative Issues and Approaches in Social Sciences, Vol. 6, No. 3, pp. 39-68. 3Makreshanska, S. and G. Petrevski (2016) Fiscal Decentralization and Government Size across Europe. MPRA Paper No. 82472. 4The Decentralization Strategy 2016-2025. Available [online]: http://www.strategy.bg/StrategicDocuments/View.aspx?lang=bg-BG&Id=1155 (in Bulgarian). 5The cited figures include the revenue of both local and state governments (where such exist). 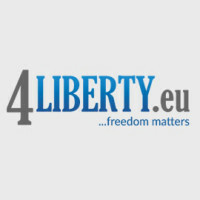 This entry was posted in Review #9 and tagged 4liberty.eu Review, Bulgaria, decentralization, finance, fiscal, local governance. Bookmark the permalink. 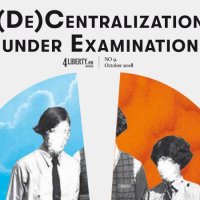 REVIEW #9: Fiscal Decentralization in Ukraine: Is It Run Smoothly? 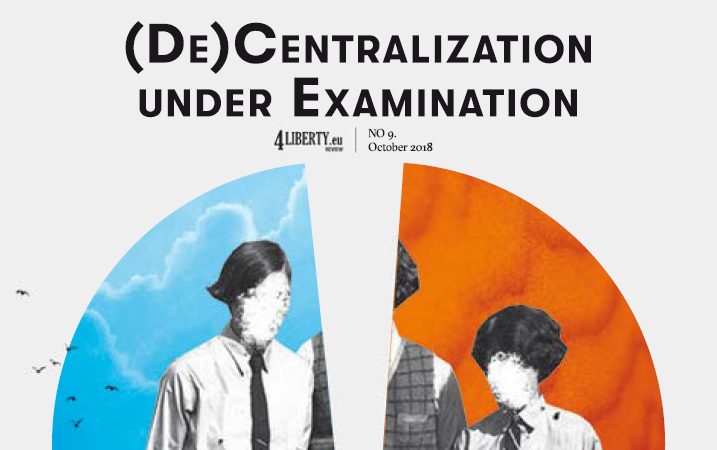 REVIEW #9: Centralization of Taxes, Decentralization of Competences: Is There a Way Out for the Local Government in Poland?